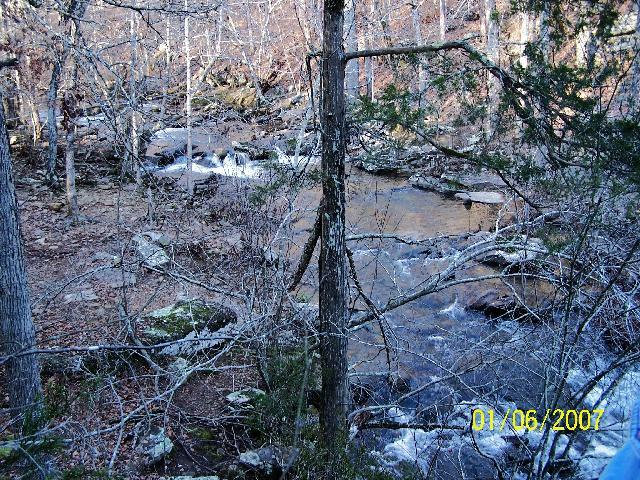 Greg sent me these three photos of Indian Well and one photo of Creek Falls. 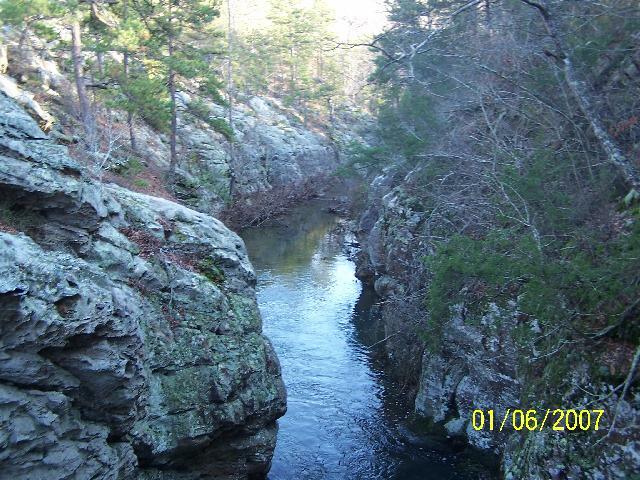 He wrote: "Next time you're in Arkansas check out Indian Well. 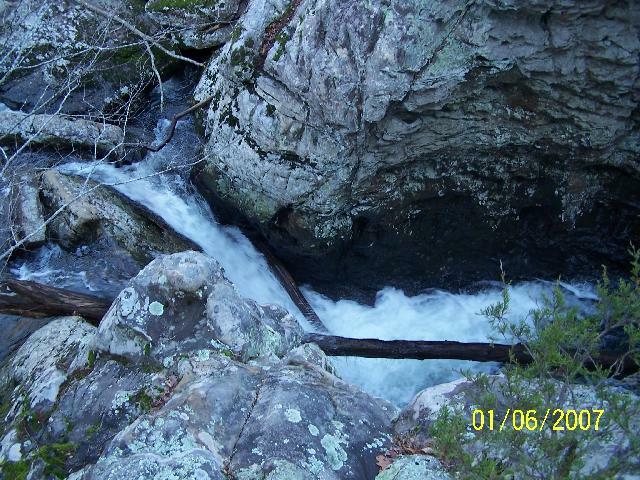 It's 3 deep wells just below a waterfall. 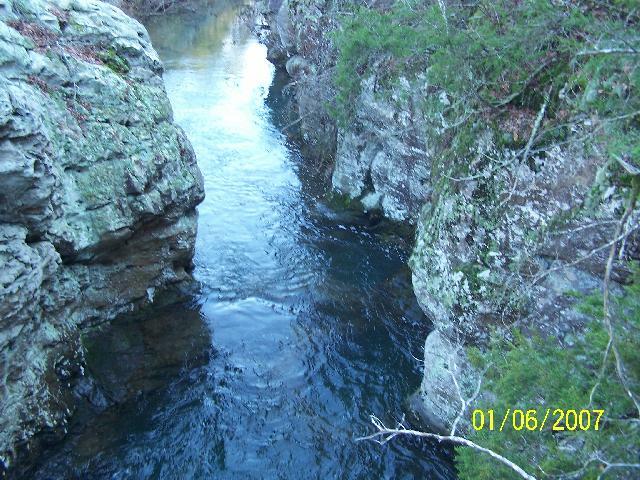 Location is on top of Hutchison Mountain in the Jamestown Managment Area near Batesville about 90 miles north of Little Rock."